Invisalign is the clear alternative to traditional braces. Would you like to have a sensational without the metal and wires? Whether you are an adult or a teenager, and have crowding, spacing, or more significant malocclusion, Invisalign may be the right treatment option for you! Dr. Humphries is a Elite Invisalign provider. This means that Dr. Humphries has achieved a significant level of experience in treating patients with the Invisalign system. Invisalign uses state of the art CAD-CAM technology to offer orthodontic treatment with enhanced esthetics and comfort! 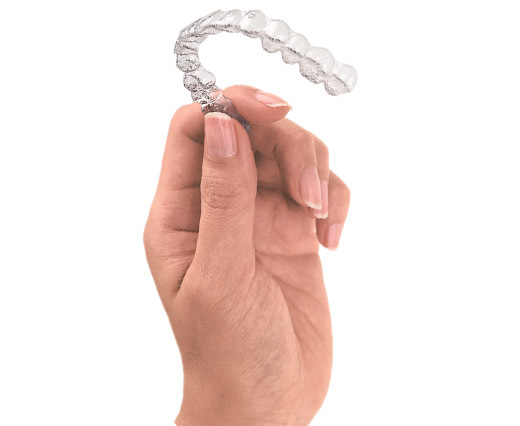 Invisalign is a custom-made series of clear aligners that are worn over your teeth to progressively move them from their current position to the ideal position. 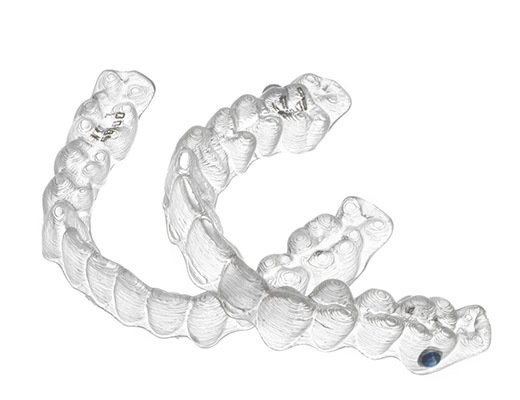 The aligners are made out of a smooth and comfortable plastic that is virtually invisible. The best part about the whole process is that most people won’t even know you’re straightening your teeth. 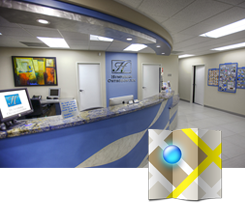 Once your 3D scan is complete Dr. Humphries will submit his prescription to his dedicated Invisalign technician. This is one of the most critical components of treatment as this will dictate the treatment outcome. 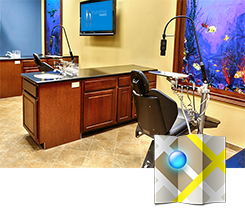 From there, Dr. Humphries and his technician will work on the CAD-CAM 3D models and the staged tooth movements until the they are as desired by Dr. Humphries. 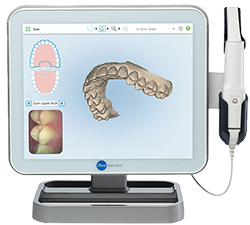 Once the setup is approved, the aligners will be manufactured and shipped to our office. During your first visit your first several aligners will be delivered. The aligners are quite comfortable making the 22 hours of prescribed wear easy to obtain. In most instances Dr. Humphries requests that each set of aligners be worn 17 days. Over that time period, your teeth will gently and gradually shift into place. At each checkup, Dr. Humphries will ensure that your teeth are moving according to his plan. You will receive multiple aligners at each checkup which limits your visits to approximately once every 2-3 months. While each case is unique, most Invisalign treatment is 1-2 years in duration. The scanning process is more comfortable and is faster than polyvinyl siloxane impressions. The impression materials do not tase good and they often have to be taken multiple times in order to obtain an adequate record. The scan will arrive to Dr. Humphries’ dedicated Invisalign technician (only providers who meet certain criterion set by Align Technologies have dedicated technicians) immediately after the scan. Impressions, must be shipped to Costa Rica before the technicians can begin to work on the case. 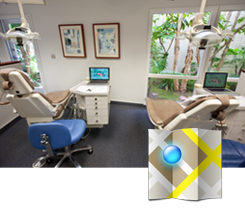 The end result is the scan allows you to obtain the smile you deserve sooner. Clear aligners are virtually invisible. But, there are also aesthetic braces including In-ovation-C self ligating braces and Incognito lingual braces. Aligners are smooth and comfortable. In some instances braces and wires may irritate the mouth. Invisalign trays should be worn at all times except while eating and brushing. This lifts the dietary restrictions of braces and helps to make proper oral hygiene simpler than with braces.